The gig economy is changing the way business is being done from the inside out. Companies no longer have to juggle their budgets to add additional heads to their payrolls; they’re not faced with figuring out how to pay for the insurance, benefits, overhead and other usually-unseen expenses associated with the true cost of employees. They can simply hire gig workers to fill skills gaps or pick up workflows when things get busy. They can hire long-term freelancers with whom they build lasting relationships, or they can order content for a single web page and move on about their business. Soon, the world will wonder how it even revolved around the sun without freelancers pulling the strings of gravity. In fact, many organizations have already begun to build gig workers into their daily operations. It’s important to remember that gig workers aren’t employees, although most of them will treat your business as though it’s their very own. There are a few nuances you should be aware of if you’re thinking about going gig. The traditional sense of bankers’ hours has been gone for a long time. After all, people used to work 9-to-5 jobs. At some point, that first number snuck down to an 8 without anyone really noticing. Suddenly, everyone was working an extra hour a day, and that’s what expected of anyone who was working “conventional” day-job hours. Gig workers freelance for many reasons—one of which is the freedom to make their own schedules. Some writers keep weird hours, working overnight or on the weekends, as their personal situations allow. Others prefer to get up super early and be done with work by 1:00 or 2:00 in the afternoon. Others prefer to abide by bankers’ hours, as they might fit their families’ schedules best. The thing to remember when you hire a gig worker is that each person makes his or her own hours. If you specifically need your freelancer to be available during certain times, reach out with a message to ensure your expectations are on the same page. So, you’ve found a writer who always hits your content right on point, communicates your messages clearly, and has absolutely nailed the tone-of-voice you need for your marketing efforts. Congratulations! It often takes a few test trials before clients land their ideal writers. Once you’ve got a few in your pocket, things go smoothly. You send assignments, and they pick them up, write them, and submit them. Your content calendar becomes a well-oiled machine. Then, one day, you’re met with a message that says your writer isn’t going to write your piece. You might have a go-to writer or two (which we highly recommend), but sometimes, the stars just don’t align. Keep communication channels with your freelancers open so you can create new game plans when you need to adjust. Your gig workers will give you the same courtesy when they’re able to re-work their schedules to suit your needs. When you’re working with gig workers, there are humans on the other side of the screen. Even if you never actually have a conversation with them, it’s essential to remember that they can make mistakes just like anyone else. They’re not robots; they’re people who do their best to churn out optimal content with minimal errors. 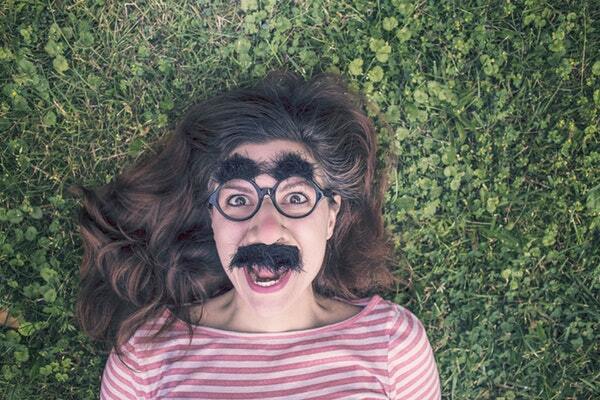 Seasoned freelancers deliver impeccable content, but they sometimes goof just like you do. Remember to approach errors in the same manner you’d want to receive revisions if they were yours. A kind note can smooth over a frustrating situation. Along similar lines, be mindful that you can often fix simple errors yourself more quickly than you’d be able to shoot a revision request to your writer. Of course, if the submission you receive is totally out of left field, you should absolutely request a revision. Just be sure your initial instructions are cohesive with the revision you’re asking for. Otherwise, you’ll essentially be asking for a brand new order. WriterAccess offers a small army of gig workers who have big talents. Here, you’ll find writers, editors, content strategists, and translators who are ready to tackle your company’s needs, no matter the project at hand. Ready to get started? Request a demo today!